and no-one can stop me stalking Gumtree for hopes of a bargain either. 1. - My all time rug crush....if only I had found my rug love when we were in Turkey! 2. - That timber bedhead ... please Ian if you read this...could you make me one?? 3. - That vintage map ... but Id like it to be a world map please.. I know...fussy hey. 6. - Yes Kilim again... LOVE LOVE LOVE. ooohhhh...love love love your images too!! 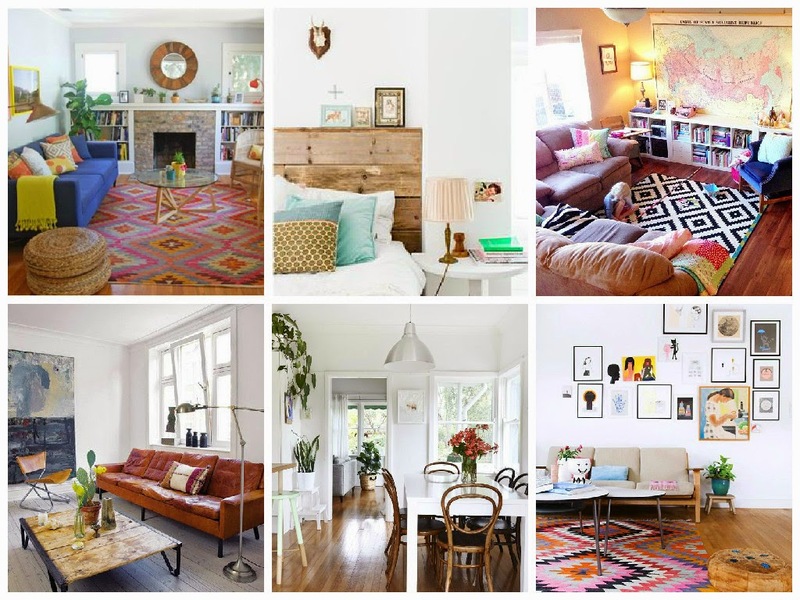 Love that wooden bedhead, coffee table and that colourful rug!! !...I am feeling in the re-vamping mood too....if only it would just happen and I had the spare cash too!! I know!!!! aren't they awesome!! Good luck...you can do it too! !